Click on each image to enlarge. All images are by Keesic Douglas. As a child of the 70’s, “Heritage Minutes” are etched into my youth. They were on TV and they were on the big screen before the movie started. Collectively they told a nice simple tale that Canada and Canadians are akin to Green Gables — bountiful, charming, and pleasant. Who didn’t want to celebrate that kind of good-news history and afterwards wrap themselves in the Canadian flag? As a kid growing up in Ottawa the allure of a grand national identity was powerfully intoxicating. But this was always measured — given that our family only lived in Ottawa so my father Tony Belcourt, could fight for Indigenous Rights because he, along with other leaders, shamefully had to. It wasn’t about lobbying to get a bigger piece of the pie, it was fighting for justice because people were dying in our communities. I have to admit I was initially totally stoked when we were told that we were chosen to make two new Heritage Minutes – most of us have heard or seen these things, how cool is that? However, the two Minutes in question were on “Treaty” and “Residential School” … it wasn’t celebration time. These were going to have to be very different Minutes, not the ones we saw when we were kids, and to Historica Canada’s credit, they sought and hired an Indigenous Production company because they wanted to ensure that they did their best to get these two charged Canadian issues right. When I first posted these Minutes on my Facebook feed I began with the sentence, “Making these Minutes was agonizing” and it was. It really truly was. Producer Michelle St. John and I began by attending the Truth and Reconciliation Commission’s gathering in June 2015, in Ottawa. On the one hand you could sit in a room where Survivors would recount their impossible to imagine horrors of being trapped within residential schools as children. And then out in the hotel lobby you could watch as Survivors and their families spontaneously drummed and sang in their languages. It was celebratory — that they are still here, their families are still here. How do you fit all of that into one Minute? 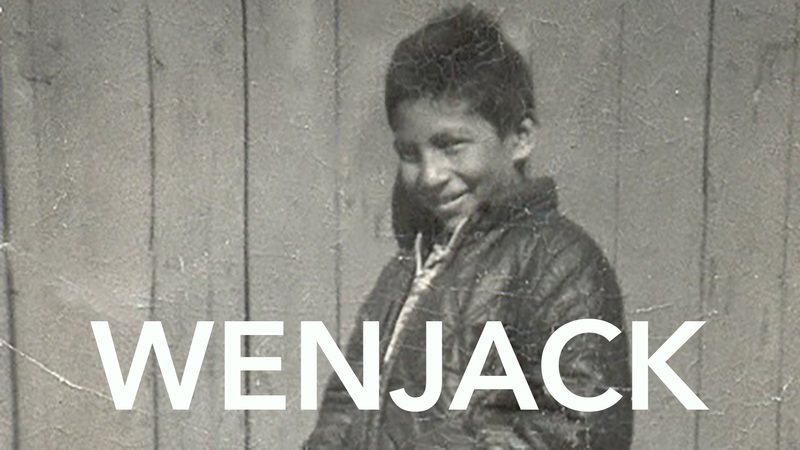 Early on we were told that Historica Canada wanted to explore the potential of focusing the Residential School minute on “Charlie Wenjack.” Michelle and I agreed that this could make for a powerful Minute, but since Charlie’s siblings were still alive — we must meet with them to ask permission first. If the family said “no” then there would be no Minute based on Charlie. Period. So, at this same TRC gathering we met with Pearl Achneepineskum, one of Charlie’s older sisters. Pearl told us about the day the planes landed to take the kids away from home to schools hundreds of miles away. Pearl recounted her final exchange with Charlie, to whom she was very close, and how after he and the other children boarded the floatplanes and flew off, all the parents and grandparents sat on logs by the shore and wept. And they wept all day and all night, unable to go home, unsure what to do next and how to just go on now that all the children in the community had been taken. And here she was sitting across from us, a Residential School Survivor, Charlie’s sister who was old enough to have witnessed what the parents went through. And she told us through tears about the intergenerational effects Residential School on her family. I still have no idea where to put all of that — all of what she shared with us. It wasn’t a moment to be “hugged out.” There are no words, there is just listening and shared tears … and again, how do you put all of that into one Minute? One thing that Producer Michelle St, John and Screenwriter Joseph Boyden and I were absolutely steadfast on, in making these minutes: that these are not “historical.” There was no way we could throw a glossy treatment over these Minutes and wrap them in a bow that tells an audience “well, that’s in the past now!” NO. This was absolutely not going to happen or we were going to walk. Residential School and Treaty are not “historical,” they are painfully and politically in the present. And for us, these Minutes HAD TO include faces of Indigenous people from the here and now, and that would turn the Heritage Minutes inside out … and to Historica Canada’s credit, they agreed. And if ANYTHING works in these Minutes it is that you SEE Pearl. You HEAR Pearl. “I survived Residential School, my brother Chanie did not.” That’s the Minute right there. It is not “in the past.” There she is. A Survivor. And she is extraordinary. When we recorded Pearl’s voice over in post production, she sat in front of the microphone with the script and monitor in front of her — she turned to me and said, “His name is not Charlie, it’s Chanie.” Wow. Okay. She said, “Our parents named him Chanie but when he got to the Residential School, they changed it to Charlie, some people called him Jonny, but it’s Chanie.” This was by far a huge revelation as all of the research we did, reading previous articles and news stories, all called him “Charlie.” This was just one of the many tactics used to strip Indigenous children of their identity. In Chanie’s case, the one letter difference anglicizes his name for eternity. We knew we needed to correct this for his family’s sake and for Chanie. In spite of Pearl’s time at Residential School, she has retained her language so we asked her to do a take of the voice over in Oji-Cree. When she got to the line “It’s been called Cultural Genocide” Pearl could only translate that to “what the White Man calls Cultural Genocide” because there are no words in Oji-Cree for “Cultural Genocide” so those two words must remain spoken only in English. For now I’ll save the stories of how the Treaty Minute came about for another time, but it was equally challenging, not so much from an emotional standpoint like the Residential School Minute, but from an “historical” one. This was TOUGH. But, again, having an Indigenous person from TODAY reflect on her family’s participation and oral understanding of the Treaty smashes “history” into “present” and to us it is the only way to begin to speak about Treaty. And really that is what these two Minutes and all Heritage Minutes are all about, or should be all about, to spark conversations and reflections on what it means to be Canadian, to be “Canada.” These “Indigenous Issues” are Canada’s issues and they need to be a National dialogue, for many generations to come. I must end on one final note about making these Minutes. “I” did not make these Minutes, there was a very large “WE” that made these Minutes. And that was for the most part, an Indigenous “WE” — It takes a village … and I would go so far to say that this fact, that a largely indigenous crew made these minutes, is why these Minutes work at all. 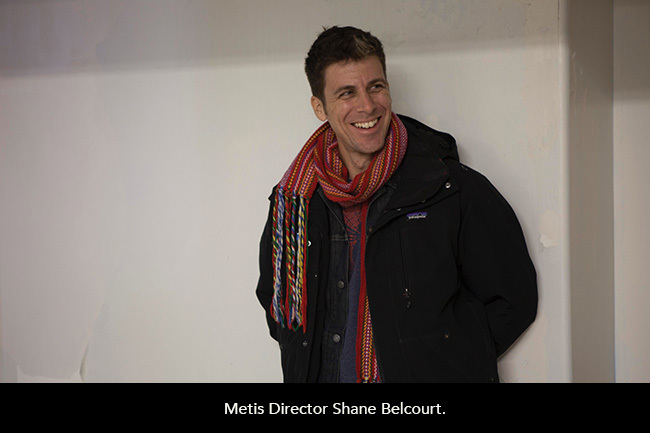 Shane Belcourt is a writer, director, cinematographer based in Toronto, Canada.